SAY HELLO to SUNSHINE SALE $25 off of Facials and 20% off of Glymed Professional Skincare! and receive a COMPLIMENTARY Dual Foundation/Concealer Brush! $36 Value! Now until June 30th! HURRY Limited Time offer!! 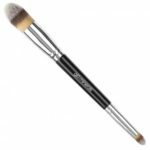 The Dual Foundation Camouflage Brush is a double-duty brush that does it all with precision and ease. Designed with you specifically in mind to make expert makeup application easy. This double-sided brush creates a flawless finish every time. 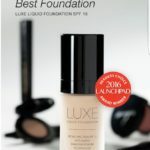 Fabulous for applying Protective Liquid Foundation, Camouflage Concealer and primers – it follows the curves of the face for truly flawless coverage. Tell the cashier the reward code below when you pay. Reward expires on June 30, 2017. No cash value. In-store only. May be canceled at any time. This entry was posted in Reviews and Compliments and tagged $25 savings, brow wax stoneham, clinical skincare stoneham, COUPON, Facials in my area, facials Stoneham, GLOMINERALS Sale, GLYMED SKINCARE SALE, lash services stoneham, local makeup, local skincare, local Spa, Local spas in my area, MAKEUP SALE, SALE, SAVINGS, Spa Sale, Stoneham MA, Stoneham SPA. ← Extension, Extension!! Lash Extensions are in season! SAVINGS!! !